Brand: R.S.V.P. International,Inc. RSVP-ST11 Units: 1 Gleaming 18/8 stainless steel shaker with 11oz. capacity. Comes with an airtight plastic cover. Great for shaking out sugar, sprinkles, spices or cocoa. Large holes. 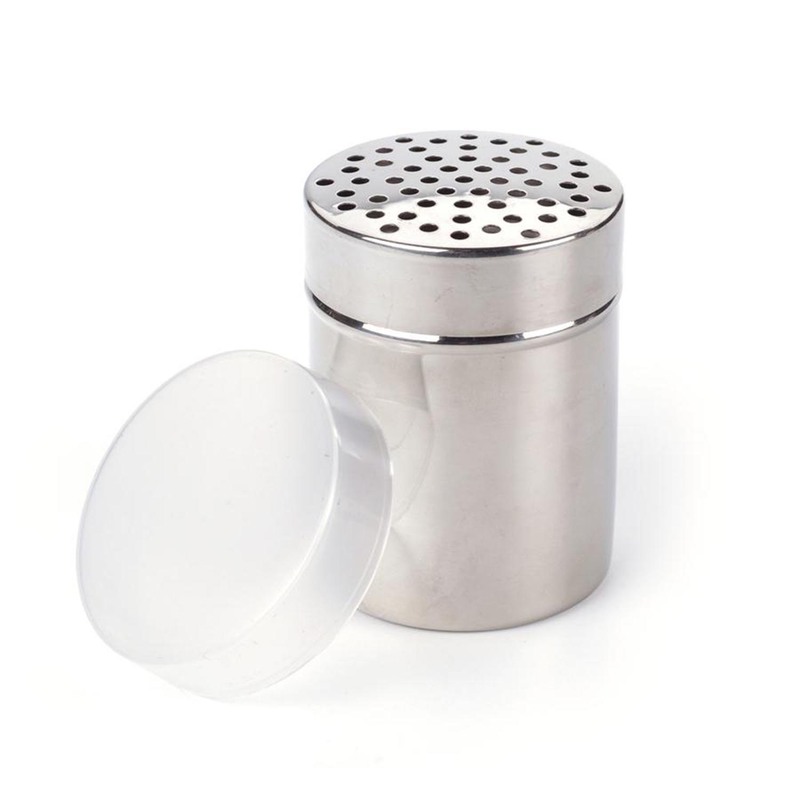 Gleaming 18/8 stainless steel shaker with 11oz. capacity. Comes with an airtight plastic cover. Great for shaking out sugar, sprinkles, spices or cocoa. Large holes.